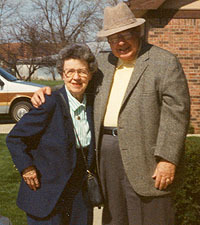 Bill and Doris Mohr had traveled all over the United States and had enjoyed a great deal of success. When it was time to retire, they came back to Frankfort, Ind., and enjoyed life at the Wesley Manor retirement community. Once they were home, the Mohr's wanted to do something for the community that would make an impact. After discussions with their financial and legal advisors, they decided to take advantage of the three benefits offered to them by a Charitable Remainder Unitrust. 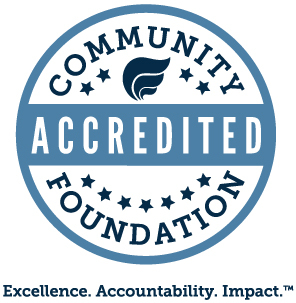 They received a substantial income tax deduction, they received income for the rest of their lives, and they had the satisfaction of knowing that two funds that they established in the Clinton County Community Foundation would be well funded to carry out their charitable wishes upon their passing. Through planned giving, the Mohr's established a fund to provide generous support to Wesley Manor. They also established a fund that awards ten significant renewable scholarships each year for deserving Clinton County students. This program began in 2008 and now awards 40 scholarships each year … forever. Many generations of Clinton County Students will be grateful to Bill and Doris Mohr and to those public-spirited advisors who showed them how they could make a difference. Clinton County will be a much better place because they were here and were willing to make a difference.